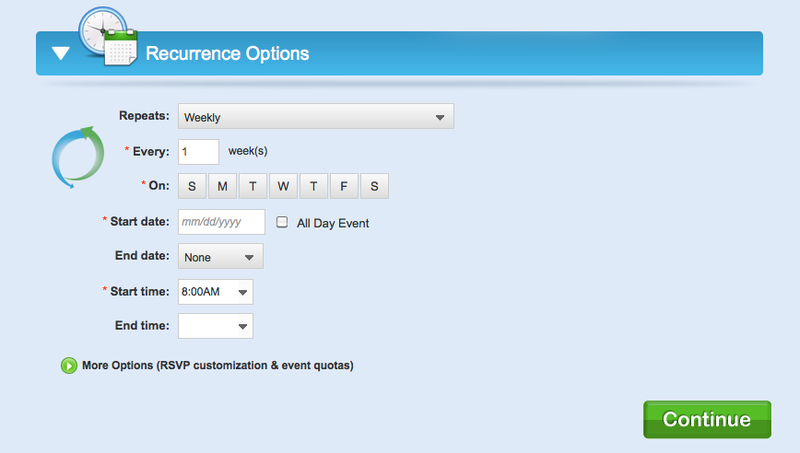 Choose whether your event will be single or recurring. Examples of single events are birthday parties, a barbeque or a baby shower. Examples of a recurring event are a weekly sports event, a monthly dinner club or a weekly business meeting. Choose a name, time and host for your event. You may enter the event location, address & a host message, but this information is not required. 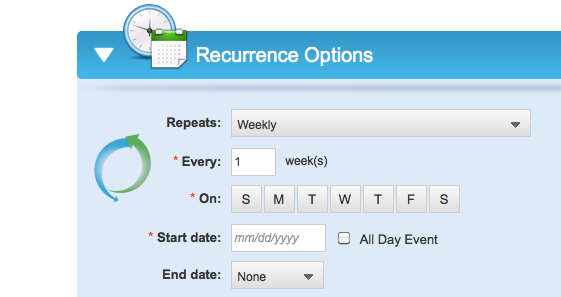 When choosing a recurring event, you will have additional choices to make. For a detailed explanation of how to schedule a recurring event, please visit our FAQ page. 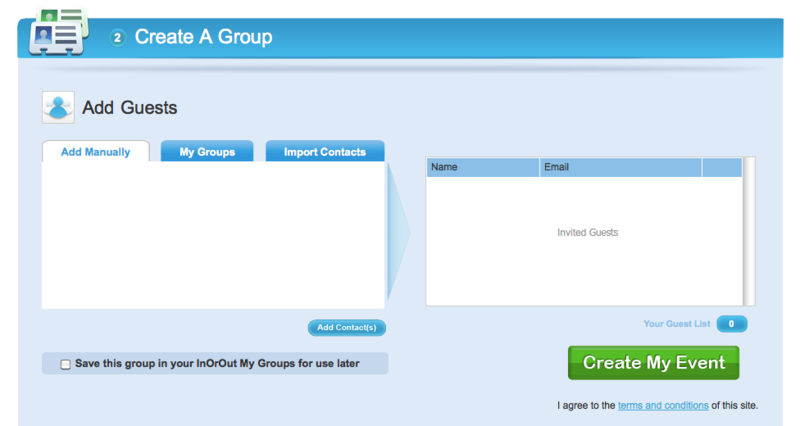 In most cases, InOrOut will automatically send an RSVP reminder to your group two days before the event, but you may also customize this feature. 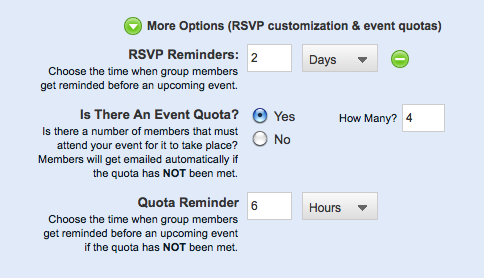 If your event requires a minimum number of people, an event quota can also be added and customized. 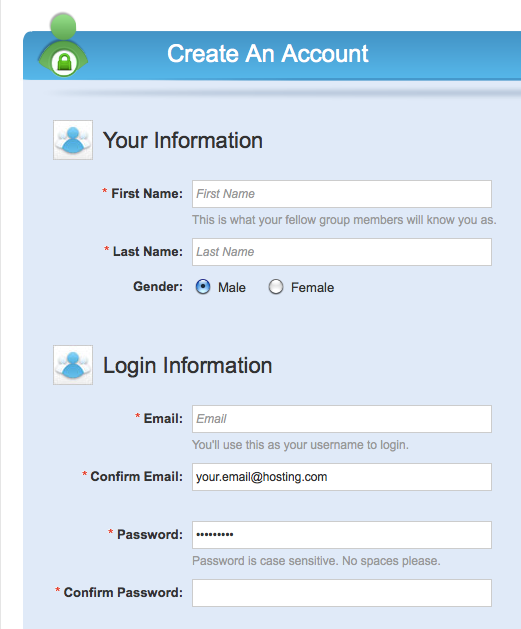 You may choose the number of people for your quota and also select the reminder time if the quota has not been met. For a more detailed explanation of event quotas, please visit our FAQ page. 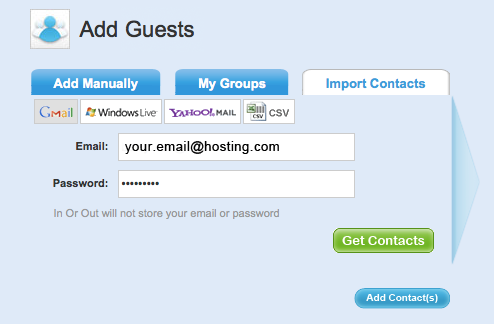 You can type in the email addresses of your guests and press the Add Contacts button to add them to your group. 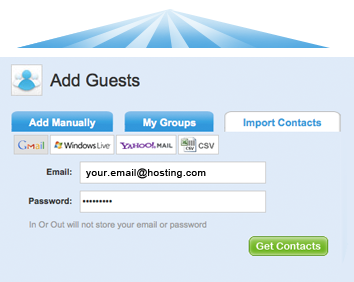 By clicking on the Import Contacts tab, you can import your contacts automatically from a variety of popular formats. 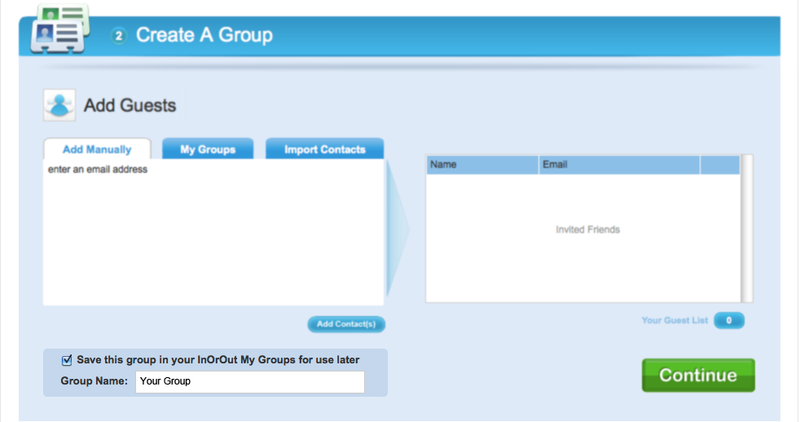 You can also click on the My Groups tab if you already have groups stored in your InOrOut account. 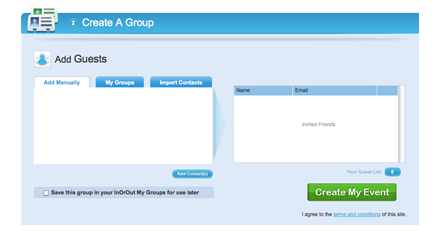 You can save the group you've created by checking the box in the lower left hand portion of the screen. By doing so, you may use this same group for future InOrOut events. Enter your name and email address and you're done!